Finally we hear from Google about the release date of the new version of Android operating system, Ice Cream Sandwich. In an interview with SalesForce.com CEO Marc Benioff, Google's Eric Schmidt disclosed that next iteration of Android would come in the October-November timeframe. “We have a new operating system, internally known as Ice Cream Sandwich for some reason, which is being released in October/November, which everyone’s really excited about,” says Schmidt in the interview held at Safeforce’s Dreamforce conference. Ever since Google unveiled Ice Cream Sandwich, several rumours have floated around the Internet about the timing of its release. However, it was widely expected that the new Android operating system will come in the final quarter of this year. Some of the reports claim that the Ice Cream Sandwich will be officially announced when Google's senior official Andrew Rubin visits AsiaD Conference, slated to be held from October 19-20. To remind you, the upcoming update to the Android OS has been designed to unify the user interface across the Android phones and tablets. 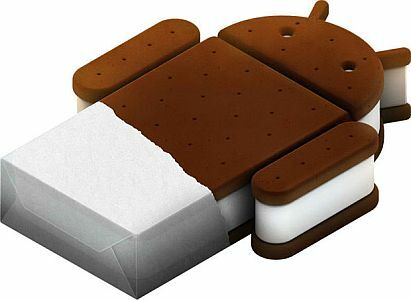 The Ice Cream Sandwich will be numbered as Android 4.0 and will have elements from both Honeycomb and Gingerbread. It's notable that the Honeycomb update provided support for the larger screens as found on the tablets, while previous versions were only designed for mobile. Stay tuned for more update on Ice Cream Sandwich.